When we opened the law offices of Hull & Chandler, P.A. in 2003, we knew that our friends and neighbors throughout North Carolina placed a special emphasis on client service, responsiveness and honest hard work. We know there are many law firms serving this wonderful region. From the very first day, we committed ourselves to providing legal services that people will talk to their neighbors, family members and co-workers about. We have quickly built a reputation throughout the legal community for our willingness to go the extra mile for our clients and for providing the type of representation you have a right to expect. Our attorneys have years of experience as effective trial lawyers and business transaction and litigation attorneys. We are proud of how quickly our name has spread through the region as the attorneys to call when you need to rely on results. We take personal injury claims on a contingency basis. There is no attorney fee unless you recover compensation. The lawyers at Hull & Chandler, P.A. make a commitment to our clients who have been injured in an accident. We will go as far as the law allows with your claim to get you the settlement that you are satisfied with and are prepared to accept. After all, this is your personal injury claim, not ours. Our attorneys have earned a reputation as effective, skilled negotiators and trial lawyers, who are not afraid of the biggest names in the insurance and corporate worlds. We understand how the insurance defense team will put together their case to defend their client, and we prepare a thorough investigation of all of the facts and a true assessment of the cost of your injuries to your future and to your family. Nathan M. Hull is the President and founding partner of Hull & Chandler, P.A., in Charlotte, North Carolina, where he focuses his practice on advising individuals and small businesses on all business law and estate matters. Mr. 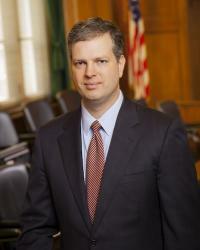 Hull counsels his clients on corporate matters including business incorporations, limited liability company (LLC) organizations, intellectual property and trade secrets, non-compete agreements, contracts, mergers and acquisitions, transactions, tax matters, employment law, security interests and business litigation. He also counsels his clients on estate planning, wills and trusts,estate administration and estate contests. Mr. Hull's corporate clients come from different types of industries including the health care and banking industries, construction and charitable organizations. His clientele runs the gamut from individuals and small businesses to large corporations. Mr. Hull received his B.A. in Political Science from DePauw University in Greencastle, Indiana, where he was an Academic All-American and team captain of the Cross Country team. He subsequently graduated from Wake Forest University School of Law, earning his Juris Doctorate in 1999. Mr. Hull has been practicing law in Charlotte since 1999, primarily advising small businesses, assisting in their transactions and litigating their disputes. By the end of 2001, he was promoted to Partner in Robertson & Hull, P.A. In 2003, he founded Hull & Chandler, P.A., with the vision of creating a full service law firm that would provide personal, high-quality, courteous and prompt representation across the legal spectrum. In 2004, at the age of 29 years old, he was rated by his peers as an AV Preeminent Attorney, the highest level attainable on the Martindale-Hubbell rating system, and maintains said rating to this day. In February 2012, Mr. Hull was recognized as one of Business Leaders' Top Entrepreneurs of 2012,an honor given to exceptional business professionals who greatly contribute to the growth of their communities. Mr. Hull is admitted to practice before the North Carolina State Bar and the U.S. District Court for the Western and Middle Districts of North Carolina. His professional affiliations include the Mecklenburg County Bar Association, the North Carolina State Bar Association, the American Bar Association and Charlotte's Financial Planning Association, where he served seven years on their Board of Directors. R. Michael Chandler is an equity partner and the Senior Personal Injury Attorney at Hull & Chandler, P.A., in Charlotte, North Carolina, where he handles a variety of cases involving serious bodily injuries. He counsels his clients on matters related to personal injury, car accidents, truck accidents, motorcycle accidents, catastrophic and deadly injuries and civil litigation. Mr. Chandler was born in Danville, Virginia. He received his B.S. in Economics and Business Administration from Elon College. 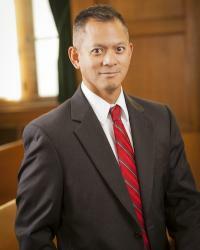 He graduated from Wake Forest University School of Law in 1999 with a Juris Doctorate, where he was a member of the Wake Forest Moot Court Board. He also competed as a member of the Law Schools Pace Moot Court Competition Team. Mr. Chandler started practicing law in 1999 as a defense attorney representing insurance companies. He gained extensive knowledge and trial experience working with insurance companies; specifically the tactics used to evaluate claims and persuade the injured. In 2003, Mr. Chandler decided to represent accident victims instead, and co-founded Hull & Chandler, P.A., with the vision of creating a full service law firm that would provide personal, high-quality, courteous and prompt representation across the legal spectrum. Mr. Chandler is admitted to practice before the North Carolina State Bar and the U.S. District Court for the Western District of North Carolina. His professional affiliations include the Mecklenburg County Bar Association, the North Carolina State Bar, the North Carolina State Bar Association, the North Carolina Advocates for Justice, the American Association for Justice and the Bobbitt Inn of Court. In 2011, Mr. Chandler was selected as a Rising Star in the area of personal injury and general litigation by Super Lawyers Magazine. He was also selected as one of the top 100 trial attorneys in North Carolina in 2011 with his invitation to the National Trial Lawyers Association. In addition, Mr. Chandler was inducted into the Million Dollar Advocates Forum, signifying his success in obtaining million dollar recoveries for injured clients. Several of his cases have been highlighted in North Carolina Lawyers Weekly and the case of Stillwell v. Gust v. Stillwell, 557 S.E. 2d 627 was published by the North Carolina Court of Appeals. Mr. Chandler is married with two children and lives in Myers Park. He and his family are members of Myers Park Presbyterian Church and are active in charitable organizations such as Project Halo. He enjoys spending time with his family, running, exercising at the YMCA and supporting intercollegiate athletics. Timothy Zarsadias joined Hull & Chandler, P.A. 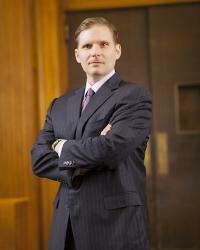 in 2008 to build his civil litigation practice, focusing on personal injury matters. He represents and counsels his clients in a variety of matters including car accidents, trucking accidents, motorcycle accidents, burn victim claims, products liability claims and premises liability matters such as slip and falls and assault/battery. He has successfully represented clients with catastrophic losses including serious injury and wrongful death cases. Prior to joining Hull & Chandler, P.A., his practice included property and casualty claims, housing and construction defect claims, insurance coverage and bad faith matters. He continues to represent clients in these areas. In addition to his representation of clients, Mr. Zarsadias serves as a Certified Mediator, assisting in the resolution of cases and conflicts, having received his certification from the North Carolina Dispute Resolution Commission. Mr. Zarsadias was born in Youngstown, Ohio, and was raised in Beckley, West Virginia. He attended and graduated from Penn State University-University Park, Pennsylvania, earning his B.S. in Accounting. He continued his education at the University of Akron, Ohio earning his Juris Doctorate in 1994. Upon graduation, he relocated to Pittsburgh, Pennsylvania and practiced as a trial attorney in the western half of the state. In 2000, he moved his family to Charlotte, North Carolina to continue to build his practice and trial skills. He immediately developed loyal clientele representing individuals and a variety of insurance companies. His extensive knowledge and diverse experience has allowed him to provide excellent representation to his clients at Hull & Chandler, P.A. In the course of his 15 years of practicing law, Mr. Zarsadias has managed cases and claims from the initial investigative stages through litigation. He has tried over 70 cases to verdict. He is admitted to practice before the North Carolina State Bar and the U.S. District Court for the Western, Eastern and Middle Districts of North Carolina. He is also licensed to practice in Maryland, Ohio and Pennsylvania. His professional affiliations include the North Carolina State Bar Association, theMecklenburg County Bar Association, the North Carolina Advocates for Justice and the North Carolina Academy of Trial Lawyers. Mr. Zarsadias is married with three children and lives in Charlotte. He is an active member with St. Mark Catholic Church and coaches soccer for his son's and daughter's teams with the North Mecklenburg Soccer Club. In his free time, he enjoys the outdoors and spending time with his family. He is also an avid snow skier and loves watching both college and professional sports. Ketan Soni has represented clients in divorce, equitable distribution, alimony, child custody, child support, domestic violence, and appeals in Charlotte and Raleigh, North Carolina for over 12 years. Ketan practices divorce law in mediation, negotiation, collaborative law and in the courtroom to achieve the best possible result with a "big picture" view of each case. After managing one of the largest divorce law firms in North Carolina, Ketan started his own practice and then joined with Hull & Chandler, P.A., to bring the same high level of quality and care to clients. Ketan saw the damage the court process inflicted on spouses and parents, and so he also decided to use the skills learned over the years to open a mediation practice designed to help two spouses create their own resolution and agreement without having to go to court. Ketan understands that clients undergoing divorce have a wide range of needs and has therefore dedicated time to learning North Carolina divorce law as well as attending training in mediation, collaborative law, communication and active listening, and extensive trial advocacy. To top it off, Ketan utilizes his keen understanding of the financial issues and assets in divorce to proactively protect his clients. Ketan's experience in 7 different counties in North Carolina allows his clients to feel secure that they are receiving solid legal advice coupled with practical experience in the courtroom. Why Choose Hull and Chandler Family Law? 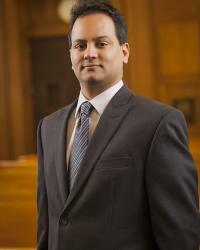 Ketan is a North Carolina DRC Certified Family Financial Mediator and Attorney that has exclusively practiced divorce law in North Carolina since graduating from Wake Forest University School of Law. -"NC Conference of District Court Judges: Electronic Evidence"
-"When Immigration Law and Family Law Collide"
-"Annual Family Law Section: Social Media as Evidence"
-"Lawline: Social Media as Evidence: Challenges and Considerations"
-"Convincing the Court to #Follow your Social Media Evidence"
Ketan taught Family Law as an Adjunct Professor at Charlotte School of Law. He has also conducted free seminars on divorce for the public, and appeared on Charlotte local news programs over the years. "Ketan Soni has an extraordinary ability to be all things to all people. Ketan's ingenious approach to family law has lead our family from chaos to a life of compromise and stability. One that our children can thrive in and grow up feeling loved. Ketan didn't just get me divorced and custody of my children, Ketan gave me my life back." Kathryn McGuire, Charlotte NC "The agreement was fair for both parties, we never stepped foot in a courtroom. Isn't that what most people want?